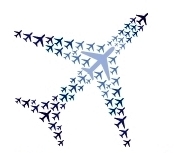 One of the most important attributes to being a successful travel hacker is organization. I think it is one of the most under-discussed and overlooked skill needed to master this hobby of ours. Every month, I set aside several hours to do my “homework” and go through all my credit card accounts to ensure I haven’t been hit with fraudulent charges, missed any payments or have any annual fees currently due. I’ve been especially focusing on cards with annual fees as many cards are worth it in year one (especially since many annual fees are waived for year one) but not so much afterwards. My goal this time around was to reduce the annual fees I am paying and going through my monthly homework, I identified 6 cards that could meet the chopping block. I thought it would be an interesting and informative post on how I came to the decision on each card and what (if any) retention offers were made. 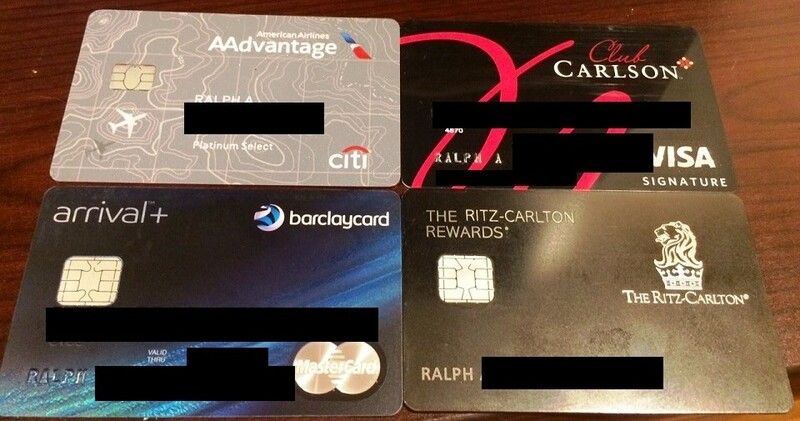 I think the offer made on my wife’s Ritz Carlton card was the most interesting but I’ll let my readers decide that. I opened this card two years ago to earn 50,000 miles + earn 10% back on AA award redemptions. The annual fee was waived for the first year and last year I accepted a retention offer for a $95 statement credit if I charged $95 to the card within 3 months of the annual fee. Now the annual fee was due yet again and I called to see what retention offers were available. I got the same offer as last year but I declined it this year – why? Well, within the past year my former Barclays US Airways MasterCard was converted to a Red AA Aviator card that offers the same main benefit of 10% back on AA award redemptions (along with other perks such as free checked bags, priority boarding etc). I didn’t need two cards with the same benefits so I chose to axe the Citibank version of the card to restart the 18 month clock to get the card again. This was my favorite cash back card until the recent changes made (increasing the minimum award redemptions from $25 to $100, only getting 5% points back, no Trip It Pro, etc.) caused me to rethink why I needed this card. I liked using the rewards from this card to buy Uber credits in $25 chunks since you could earn the 2,500 points required by spending only $1,250 (which wasn’t hard if you MS’ed). However, now in order to break even on the card with the $89 annual fee, I would need to spend a ton on this card each year for it to be a better value than a no annual fee 2% cash back card like the Fidelity American Express or the Citi Double Cash which just wasn’t going to happen. My retention offer was to downgrade to no annual fee 1% cashback version of the Arrival card but why would I chose to put any spend on that card when I have better 2% cash back alternatives available? I quickly dismissed the offer by stating exactly that and my card was closed moments later. My wife and I both signed up for the 140,000 point offer on this card last year which was possibly one of my favorite signup bonuses from last year. We timed these applications right and for paying the $395 annual fee, we each got 140,000 points, $600 in airline gift cards ($300 annual airline credit which we were able to use 2x since it is a calendar year based), Marriott Gold status and 3 Ritz Club level upgrades. We enjoyed the perks in year one but for year two, there is no compelling reason to keep the card unless you are a frequent Ritz customer (which we aren’t). It is a card you never want to put spend on and since we already used the $300 annual airline credit this year, I didn’t see a reason to keep the card. The retention offer on this card was interesting though it was only offered it on my wife’s card and not mine. If she spent $5,000 in 3 months, she would earn 5,000 bonus points (yawn) AND a free night certificate for any 1-4 Ritz Carlton (say what?!?). I quickly debated the value of this and while I think this offer is definitely worthwhile for some, I passed. We’d still be paying $395 for this free night and there aren’t any Ritz Carlton stays planned for the next year so I was worried I wouldn’t be able to use the free night. I do recognize that if I had a use for the free night, I should have taken the offer as I could wait till January came around, used the annual $300 airline credit since it would be reset (though it has gotten a LOT harder to buy airline gift cards to use this credit) and then cancel the card in early 2016 to earn a pro rata annual fee rebate (if Chase does that, I’m not sure). This was the best retention I received on any card and one that should be seriously considered if you don’t have concerns over using the free night and/or using the $300 airline credit. I’ll make this one quick and easy. Basically, US Bank destroyed the value of these cards when they took away the last night free when using points. It really was an offer too good to be true – if done right, every 2nd night was free! Well, once the program was gutted a few months back, these cards were useless to me. My wife and I both cancelled them and cited the loss of the last night free on award stays as the reason. Neither of us got any retention offer, bonus points or offers for a free night like others I know were offered. Should I have HUCA’ed? You bet but if I’m being honest I want nothing to do with US Bank and/or Club Carlson so I was more than happy to cancel the cards without trying to get a retention offer. I don’t recommend doing this but in this case, I really just didn’t care. Even after cancelling all these cards, my wife and I still have 36 different cards open between us. Over the next few months, I’m sure we will be cancelling more of them as I am really evaluating if a credit card’s annual fee makes it worth keeping. If this post turns out to be popular or readers request it, I’ll write a similar summary post when I do my next round of cancellations and retention offers.